Visit our showroom today in Cardiff . With over 10 years experience in the heating industry (wood burning stoves and multi fuel stove ) you can be assured of the right professional advice when choosing your fireplace product here. Our main objective is to offer you a friendly and personable service, with sales of high quality British and Scandinavian made products.The StovesWorld installation team pride themselves in meticulous standards of workmanship and can afford a flexible approach to every day bridges that need to be crossed.Our in house team of installers have been specifically trained to carry out work in your home in a polite, clean and efficient manner with minimal disruption to your day. 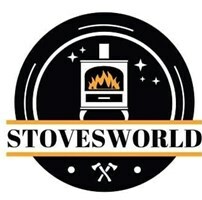 We sell all Different designs of woodburning Stoves and Multifuel stoves at Stovesworld in Cardiff.